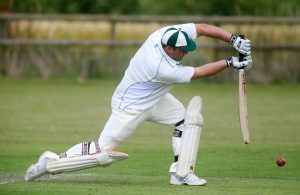 Based in the heart of the Rabble Valley, Longbridge Cricket Club is one of the cricket clubs known internationally. The club boasts at least 200 members, most of which are residents of Longridge area. Founded in 1929, it joined the Palace Shield in 1969, and it was renamed Longridge Cricket & Hockey Club after striking a partnership with a hockey section in 1979. This partnership disintegrated in 1995 when artificial pitches were introduced. In 1997, Longridge became the first ever team to win Crabtree Cup. The club’s success continued since then and has seen it field both junior and senior teams in Palace Shield competitions where it has won the championship on various occasions across all the league divisions. Who can forget the club’s 1996 to 1998 Palace Shield success hat-trick? And the club was at it again in 2000 and 2004. Other achievements include winning Meyler Cup and Loxham Cup three and eight times respectively. This club represents the University of Oxford, and it holds a first-class status in the world of cricket since its inception in 1827. The club plays its home fixtures at the University Parks located in the northern part of central Oxford. In 1827, the club played its inaugural match against Cambridge University Cricket Club in 1827, and this became the club’s only first-class fixture played annually. Oxford University Cricket Club operates in collaboration with the Oxford University Centre of Cricketing Excellence.